"A rose by any other name would smell as sweet." 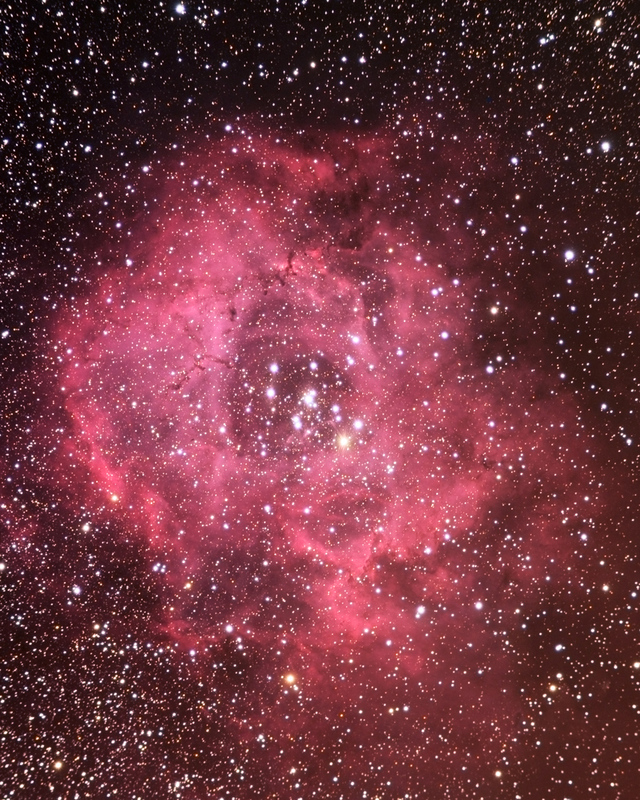 NGC 2239 is the Rosette Nebula. NGC 2244 is the star cluster in the core. Note: This image won 1st Place at the 16th Annual Region Meeting of Amateur Astronomers (aka "BobFest") for the category "Deep Space, CCD"